Bullet Camera Mounts - Helmet camera and onboard bike cam. Just slide over the camera body and set to the desired angle, for example you may want them on the top of your helmet or the side of your car. They have been tested to 145mph and will adhere to almost any glossy surface. Mount design may differ from that depicted. They are sold in pairs. Our industrial strength super velcro tape comes in 2 halves, one half has the hooks the other has the loops. Each half is also self adhesive so you can pretty much mount it on anything! You can use it on the cameras but its great too for securing the DVR inside cockpit or on your bikes fuel tank. To use simply cut to length, peel off the film on the back and stick the hooked half to the camera (or DVR) and the looped side to any other object you fancy. Then press one onto the other and hey presto it sticks! Each pack contains enough tape for 4 cameras/2 DVR's and equivalent mounting areas. A simple but effective camera mount design. Features standard 1/4" camera mount thread. The camera screws on to the thread of the mount and can be rotated and angled accordingly. The Swivel Mount Duo can be fitted on pretty much any surface including plastic, wood and metal. It offers versatility on camera mounting positions thanks to its dual swivel design. Features standard 1/4" camera mount thread. The camera simply screws onto the back of thread of the mount and the two swivel points are operated by the easy to use wing nuts. The base of the mount is normally attached using 3 self taper type screws but some customers have modified it to meet their own requirements. It mounts into a holder and so can be removed if desired. 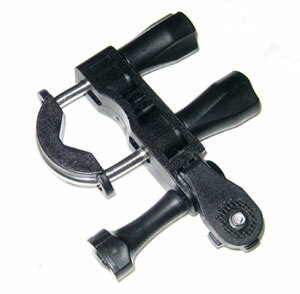 Two Pro Clip holder mounts are included, one a flat mount and the other a curved mount for use on helmets etc. Both are self adhesive. The Ratchet Mount is a neat little camera mount which allows you to pivot your camera at varying angles. The camera holder pivots around a position on its base then once you are happy with the position it locks into place. The Ratchet Mount needs no screws or other fastenings as it comes with a self adhesive base. The ratchet mount is ideal for windscreen mounted cameras as well as a number of other places where normal fixings are not possible. The Twister Mount is a simple mount with hidden depths and a very nice addition to your armory. The camera holder twists on its base allowing you to change the angle once the mount is secured. The Twister Mount needs no screws or other fastenings as it comes with two self adhesive pads. It is also moulded with a hollow sleeve in its base which allows it to used with the velcro strip (see below). NB Colour supplied may vary. The Velcro strip is a very simple idea. You get one strip of hook velcro and one longer strip of loop velcro. 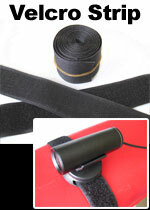 The velcro strip can be used alone to secure a camera or other recording equipment or could be used in unison with some of our other mounts such as the Twister Mount above or our self adhesive Velcro tape. If you're hitting the slopes this season or maybe into Moto X then our goggle mount will probably be your top choice for attaching the camera. It's ideal for use in any activity where goggles are worn and it's easy to use too. The mount simply wraps around your goggle strap with a velcro fastening at the rear. Then with the camera pushed into its elasticated pouch you're all set! The mount has been designed to fit around all regular sizes of goggle strap and is fully adjustable. Like the goggle mount above the Headstrap mount is ideal for any time you wish to use your camera as a 'headcam' to give your perpective or view in a video. You can wear the headstreap around your bare head without the need for anything else. The mount simply wraps around your head and the camera is pushed into its elasticated pouch. Its fully adjustable too so will fit all shapes and sizes of head and can be worn over hats too! If you love the idea of mounting with velcro but don't want to stick it all over your camera then we now have the answer! Our VPouch is a real handy mount, the design having been based on our popular goggle mount but rather than a wrap around fixing on the rear we've added a piece of super grippy velcro (hooks)! To use simply slide the camera into its pouch then go stick it! When you buy this mount you'll also get a length of matching velcro (loops) to stick wherever you like. If you have a race car or similar vehicle with a roll cage or roll hoop then the bars make a perfect place to mount your camera. Our roll bar mounts are simple to fit and fully adjustable. They are available in a variety of sizes to fit the most common bar diameters. Features standard 1/4" camera mount thread. Once fitted the camera can be rotated 360 degrees and is fully adjustable vertically too. The Multi Mount is a versatile camera clamp which can be adjusted to fit any number of places and positions. This is an advantage if the camera is likely to be used in more than one place. Features standard 1/4" camera mount thread. 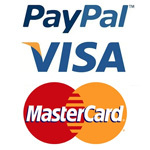 You may for example want to use your camera in more than one race car and have roll bars of different diameters. Alternatively this is a handy piece of kit to have if your into a variety of sports as chances are you'll find something this will fit! 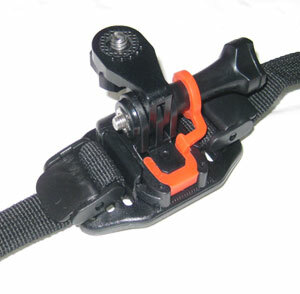 The clamp adjusts from 0 - 40mm. Like the Multi Mount above but with extra camera adjustment. The addition of the Cam-Tilt section in the Super Multi Mount allows you to have much more control over the angle and rotation of the camera lending itself to more creative positioning. Features standard 1/4" camera mount thread. Again the main clamp adjusts from 0 - 40mm. A different take on the larger roll bar mount above this clamp bracket mount opens to a maximum of 32mm and has a full 180 degree rotation for the camera attachment. Features standard 1/4" camera mount thread. Pro Camera Mount. For Helmet / Arm/Leg/Boot/...anything! Very useful camera mount that has straps that can be secured on almost anything without a mechanical fixing or perminant marking. 50cm strap length and includes to buckles. Camera mount can be rotated a full 180 degrees. Great for use on helmets with vents or arms / legs etc. The Handle Bar Mount is set at a right angle to ensure the camera is set at a 90 degree angle from the bar. Its made from rubber and is secured with loops of velcro tape. The Cycle Helmet Mount is a similar design to the handle bar mount above but the camera is now set parallel to the bar (or helmet air vents). Its secured with loops of velcro tape. TOP TIP - Always mount the camera so that it is level when riding. Placing centrally on the helmet often results in a video of the floor as you naturally look down when cycling! The Gun Barrel Mount is the same design as the cycle helmet mount above but used for a different application. The velcro will stretch to fit most sizes of barrel and will hold it all secure. This can be used on top, below or on the side of your gun barrel so as not to hinder your vision. 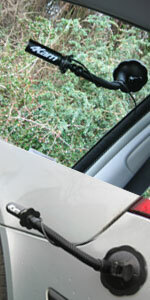 Our flex suction mount is probably one of the most versatile yet. The flexible arm allows for very creative positioning which is especially useful on vehicles. It's fantastic too if you're looking for a 'quick release' solution which can be attached to any glossy surface. The mount is secured in place with the aid of a press clamp which creates a vacuum within the suction cup locking it into position. The 4Kam is then attached by screwing the thread of the mount into the back of the camera. The correct angle can then be found by bending the high tension flexi arm into position. This is a very popular mount with track day enthusiasts looking for both in-board and out-board shots as it can be attached to both windows and bodywork. Features standard 1/4" camera mount thread. A similar mounting solution to the Flex Suction Mount above but without suffering from any vibration movement when traveling over rough ground. Features standard 1/4" camera mount thread. Simple to use design, the Pro Suction Mount has a rigid arm which swivels to offer adjustment in the camera position. The suction cup will adhere to any clean, glossy surface.